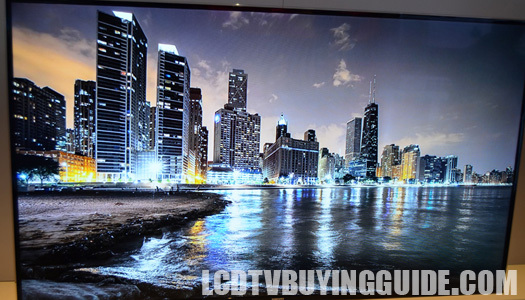 The picture on the UN65H6203 is characteristic of LED TVs in years past with a couple of exceptions. The bright backlight is an obvious plus and calibration efforts are necessary to develop a natural looking picture. Balancing reductions in brightness/backlight/contrast level with maintaining adequate coloration is tricky. Price is an important consideration for the UN65H6203, probably the main consideration at only $1299 for 65" of LED. The Picture Quality is good, especially with HD content. There are drawbacks to the Smart TV delivery. 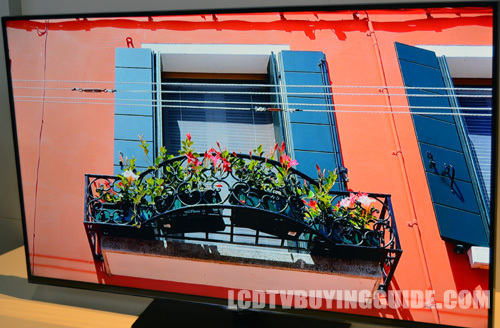 Competition is from price-oriented models like the Vizio E-series is a good comp but not offered in 65". 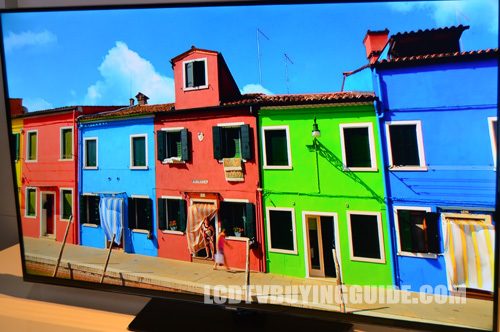 Samsung has found a sweet spot in the price-oriented 65" model since there are no more Panasonic Plasmas. Dimensions without stand (W X H X D): 58.4" x 34.4" x 3.8"
Dimensions with stand: 58.4" x 36.5" x 13"
Weight without stand: 62.4 lb. Weight with stand: 71.7 lb.